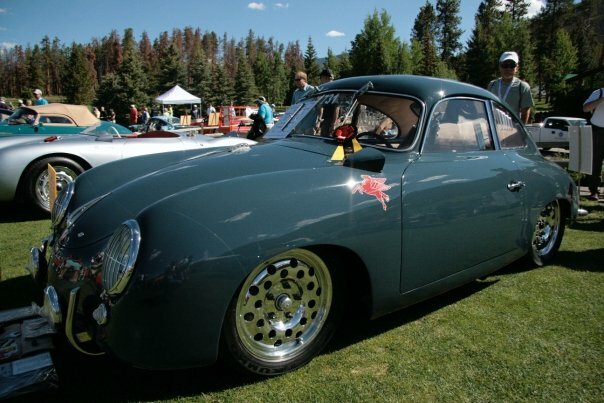 As if Porsches of various vintages were not beautiful enough on their own, setting the Porsche Parade’s Concours at the Keystone Ranch Golf Course added the perfect backdrop in which to enjoy our favorite cars. When we arrived the fairways were already scattered with Parade attendees and volunteers enjoying the cars on display, and we were happy to join them. The Historic Display section greeted us first, and there were quite a few memorable cars there. There was a widespread display of rare cars including a 1960 Carrera Abarth, a 356 Super-90 GT, and a 1966 906, always a crowd favorite. Motorsport Editor Christian Maloof, who owns and races a 1995 993, particularly enjoyed the ’73, ’93, and ‘97 RSRs on display. As far as race cars went, the 1968 908-2 Spider once driven by Bobby Rahal was a highlight for all Porsche race car lovers. An immaculate 550 Spider, complete with leather clasps holding the engine compartment down, was a highlight for us. Its silver paint was pristine, and the owner clearly enjoyed driving and displaying the vehicle. By far the most rare Porsche there was a white 1998 GT-1. It was on display next to the more “common” Carrera GT. For those of you who may not be familiar with the GT1, it was a homologated version of the Le Mans-winning GT-1 R. These ultra-rare road cars once sold for 1 million dollars! There were two 959s on display. A 959 in polar silver (whose owner proudly proclaimed his use of Mobil 1 in not just this priceless race car, but his Cayenne as well) had once not been street legal in the USA. In the GT3 department, there were quite a few interesting specimens on display, including the classic orange plus red, white and even silver cars. Some were clearly driven on the track, whereas others were a lucky owner’s garage queen, but all were spectacular. There were plenty of beautiful 356s. One, a Porsche 356 Speedster proudly showed the Mobil 1 Pegasus and displayed its original toolkit. Next to the Historic Display were six Porsche tractors. It’s important to remember Porsche’s beginnings, and the tractors serve as a reminder of the company’s early focus. Included in the display were Diesel Juniors, Standards, Super-Export 329 and a Goliath. Everywhere, owners were lovingly cared for and displayed their cars, happy to tell us about their history, current use and even value. 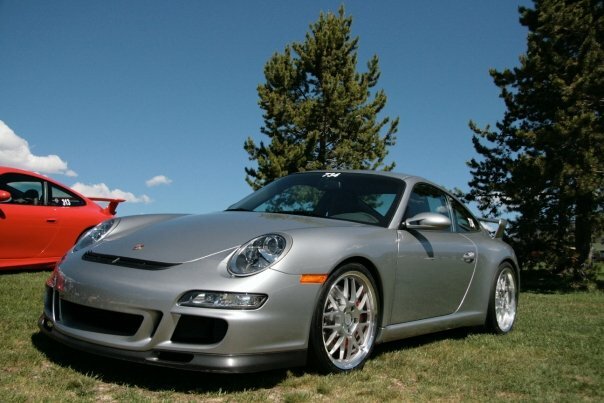 Every Porsche owner has his or her own way of enjoying his or her car, and at the Parade, it’s all good. Do all of you know who the beautiful blonde is…………..Sue!